Provide comfort for the family of Elizabeth Wesley with a meaningful gesture of sympathy. Elizabeth Alice Lang Wesley of Bear, DE departed this life on Friday December 3, 2018 at the Heartland Hospice Center in Hockessin, DE. Elizabeth, Liz as she was always called, was born on August 1, 1935 in Savannah, Georgia. Liz was the daughter of the late Charles Willie and Charlesetta Smith and James Lang. Liz was a 1954 graduate of Alfred E. Beach High School in Savannah. Liz married John Wesley July 7, 1957 in Savannah and later they relocated to Yonkers, NY. In 1957, Liz and John joined Community Baptist Church in Yonkers, NY. Liz sang in the Women’s choir. Liz received her nursing degree in Yonkers and began her nursing career at St. Joseph’s hospital. In the late 1960’s, John and Liz relocated to White Plains, NY where they started their family, from that union they were given three children Mark, Eric and Tara. After 25 years of service with the hospital Liz retired and she and John relocated their family back home to Savannah. They resided in Savannah for several years and eventually moved to Bear, DE to be closer to their children. Liz loved to cook, bake and go fishing. She was known for her tasty mac n cheese and her famous orange layer cake. In Liz’s later years she took up fishing she would fish anywhere and anytime she could. She fished on charter boats, family owned boats, off a pier, at various rivers and finally at their recreational home in Kent Narrows, MD. Liz loved to talk and socialize with anyone and everyone that she could strike up a conversation with. Family was very important to Liz and she loved her children and grandchildren. Liz is preceded in death by her eldest son, Mark Anthony. Liz is survived by her husband of 61 years, John Wesley of Bear, DE; her children, Eric Wesley (Michelle), Tara Wesley Tunstall (Eddie) both of Bear, DE; stepson, John Bryant of Williamsburg, VA; grandchildren, Nicole Bryant, Jasmine Johnson, Jondara Bryant, Mark Anthony Wesley, Eryka Tunstall, Tiana Tunstall and Eddie Tunstall; great-grandchildren, Jasmine Bryant, Ciana Matthews and Zaria White; two great-great grandchildren, Mckenzie Bryant White and Destine Bryant-White; eldest brother, James Lang; sister, Frances Lewis, brother, Ronald Smith (Beverly) and brother Al Smith all of Savannah, GA; and a host of nephews, nieces, cousins and friends. 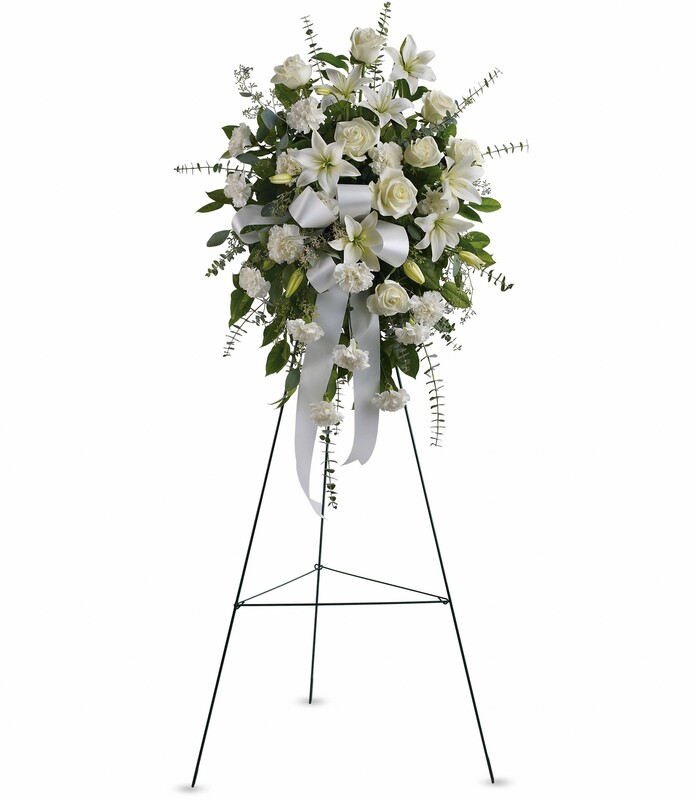 To send flowers in memory of Elizabeth A. Wesley, please visit our Heartfelt Sympathies Store. Love Stephanie & Sean Swann and The Madden Family have sent flowers to the family of Elizabeth A. Wesley. During this most difficult time the scriptures serve as a comfort zone. 2 Thessalonians 2:16, 17; 2Corinthians 1:3, 4 Helping us to see that our pain and suffering will be a thing of the past, and we can cry tears of joy as we welcome back the ones that we love so much. John 5:28, 29; Revelation 21:4 I hope you find comfort in these promises. My deepest sympathy goes out to all the family. 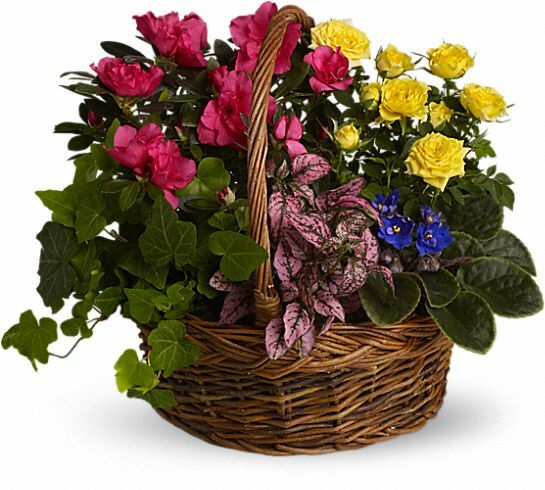 Love Stephanie & Sean Swann purchased the Blooming Garden Basket for the family of Elizabeth Wesley. RIP Mrs Wesley, from the Maddens. The Madden Family purchased flowers for the family of Elizabeth Wesley. Heartfelt Sympathies Store purchased the Sentiments of Serenity Spray for the family of Elizabeth Wesley.